Close to the University of Washington, with beautiful view of the water front in Seattle, WA lies Sand Point Country Club! Known for its challenging golf course, enjoyable amenities, and it’s delicious food. 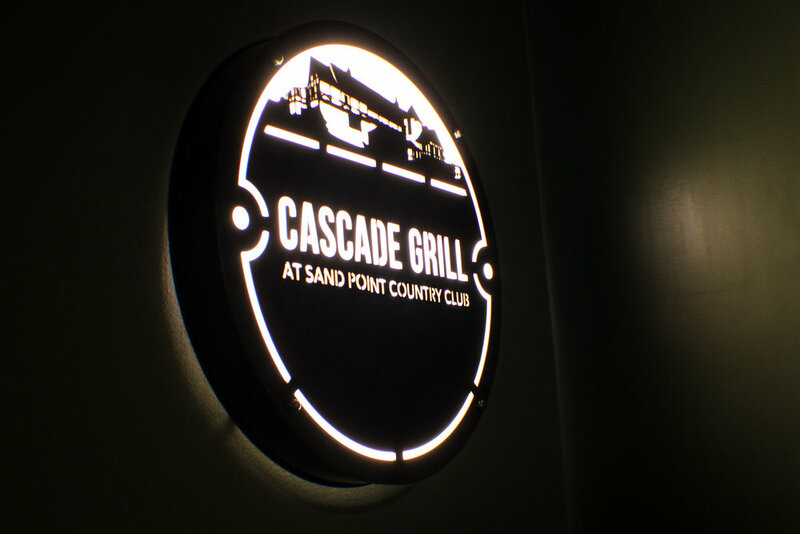 We were approached by SPCC to remodel their Bar and Private dinning room, “Cascade Grill”. 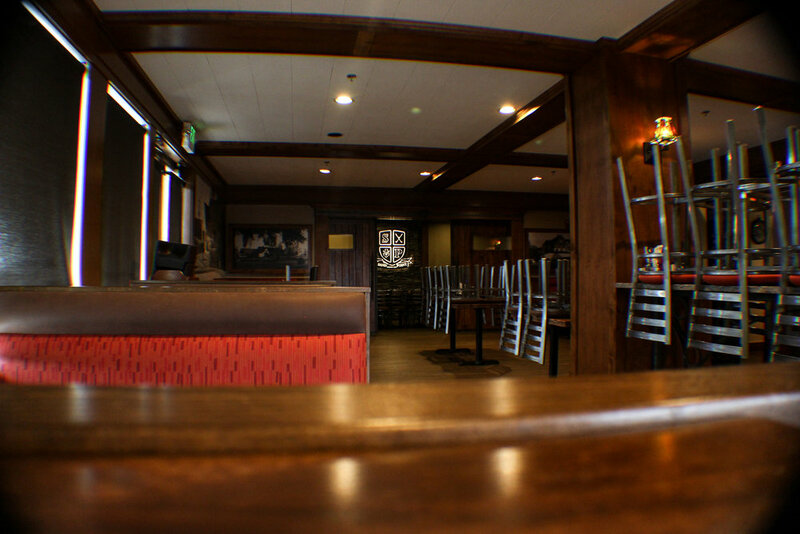 One beauty of the Cascade Grill is the Private Dinning area. In the entry way of the private dinning area are custom made barn doors with uniquely fabricated metal door handles. 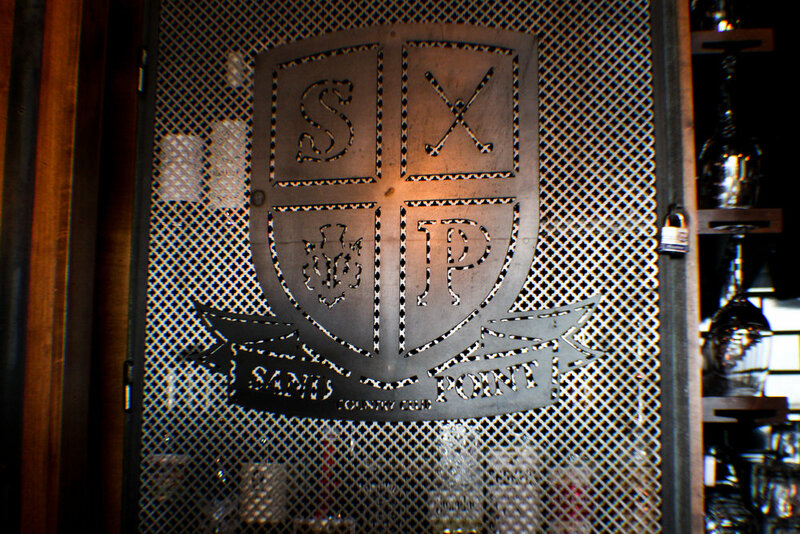 As you enter the inside the private dinning area you are presented with a metal logo sign that was brilliantly back lit and placed on a stone back wall. Both complimenting each other in this rustic dinning area. 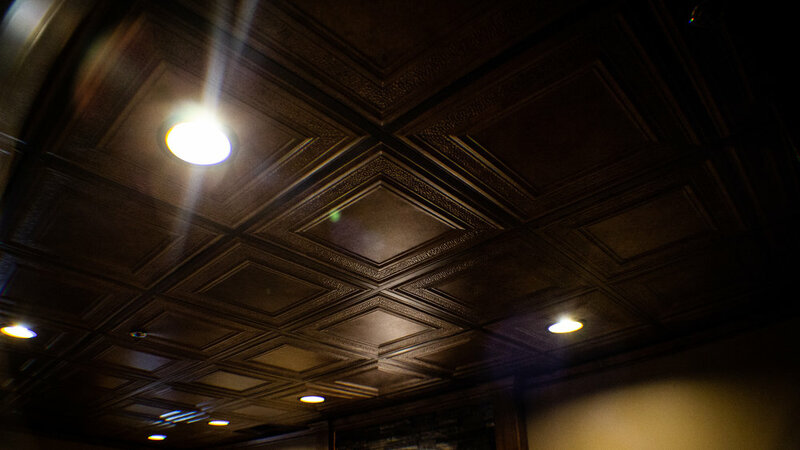 From the table legs, to the bar front, even the mix of stone and wood throughout the walls, you will get the cozy feel that is the Cascade Grill! Sand Point Country Club is a private golf and country club with membership options. If you are a member be sure to swing by see what Blackrock can do!